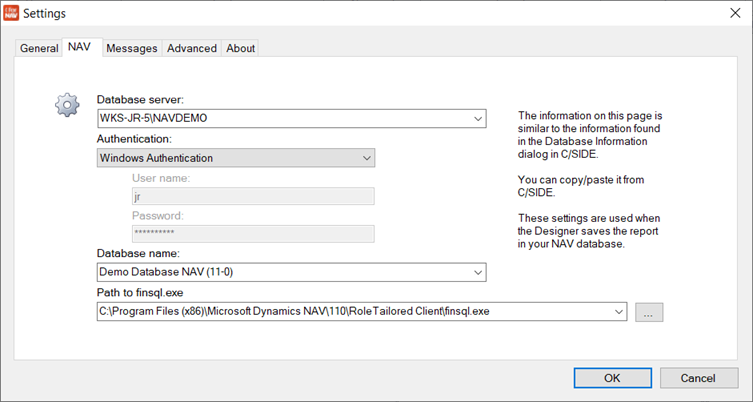 When you save directly to the NAV database from the ForNAV Designer, you might experience that it looks like your report changes are not saved, even though no error is displayed. The most likely explanation for this behavior is that your NAV settings in the Designer are pointing to another database. Therefore, your report object is saved to another database than the one you run it from. To resolve this issue, in the ForNAV Designer settings, check that your NAV settings are correct.